This update brings us more Jetbuilt feature updates than we have ever seen in a single post. It could be a plethora of updates. Watch the video to get the full run-down or just scan this email. Also in this video, Paul has a realization that building Jetbuilt might actually be more rewarding than being a rock star. We're not sure that Bono or Taylor Swift would agree, but hey, they don't know you guys. Your continuous stream of comments and appreciation for what we are building means more than you know. Paul realizes that building Jetbuilt is more rewarding than being a rock star. More importantly he brings us a plethora of Jetbuilt updates! If you use Factors to automate pricing for things like Hardware or Travel, you now have the option to present those at the ROOM level. Your factors will be presented near the bottom of each room above the room total. This is helpful if you want to show how Factors affect each room's price. You can now present your bundles in many ways. The newest way is to show the name of the bundle, then under that the contents can appear- with or without content pricing. Those of you who present cutsheets in your proposals for items within your project have likely suffered from ESSF or Encrypted Spec Sheet Fatigue. Jetbuilt found the cure, and will now alert you and reject the upload of any encrypted PDF spec sheet. You're welcome. The Margin Worksheet is a powerful tool to verify and manipulate your margins on a global level. For those of you who want to funnel it outside for high-level business analytics, there's now an EXPORT button for that. We have now safeguarded your project trashcan. While many users can put a project into the trash, only a company Admin can empty the trash, protecting against accidental project deletion. Many of you have asked for a public API where you can build your own integrations into other applications. This is under construction and should be to you shortly. Yipee! Here's another update for you! As usual, the video below gives you all the updates without all of that tiresome reading. Paul announces a few new features and more! If you use Factors to automate pricing for things like Hardware or Travel, you now have the option to blend those figures into your rooms and systems. This prevents the Factor's description and pricing from appearing on your acceptance page. 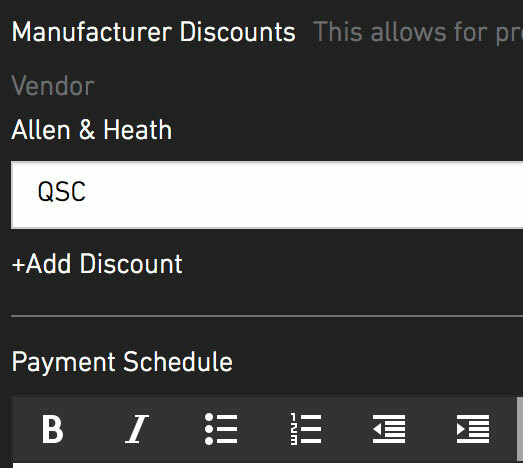 You can now account for manufacturer discounts inside of your projects. In Project Details simply search your connected manufacturers, select, then insert the % discount. Any item from that manufacturer will reflect this project-specific discount. 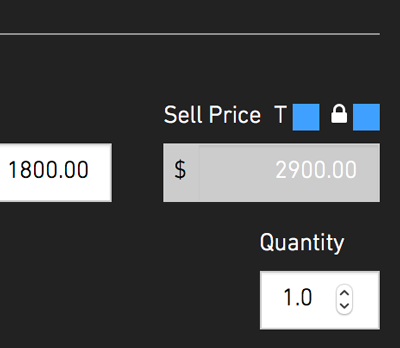 In the Purchasing area you can now select items and mark them Received. You can also make custom notes for any items to keep your team updated, or to just make witty office banter. NEW EDIT FIELDS IN BUILDER! Two weeks ago we launched the Mega Builder with editable viewing columns. We have now launched the ability to edit the values of every field when in Edit Itemsmode. This means that you can bulk edit to your hearts content your margins, labor and more! At long last- you can now copy from a room to an Option. In Edit Itemsmode click Copy to Room, and you will now see the option to copy to any active Options. You are now welcome to connect to ConnectWise within your company settings. Know that we are waiting on CW regarding some known API issues, but so many of you have asked about this integration in the last couple of weeks that we figured we would open this up for widespread testing. Enterprise users can now customize their columns in the builder. If you have an 80" monitor you may be able to see all of them at one time. Enjoy! As promised, the Smart Rounding tool we introduced in our Service Packages functionality has now been brought into the Builder. PM users can now drag to sort all Tasks and Steps right from the Edit Item list (tasks associated with items) and the Management page of each project as well. This should speed up your workflow with more easily customizable sequence of tasks. Our ConnectWise integration is very close to release. We launched it into beta and a couple of companies are testing project syncing. Next week this should launch system-wide. We hope you are enjoying the remainder of your summer! It's going to get dark early and temps are going to start dropping before you know it. For Enterprise users we present our high-level margin worksheet. Easily view and manipulate your global margins for all Equipment, Labor, Shipping and Factors. 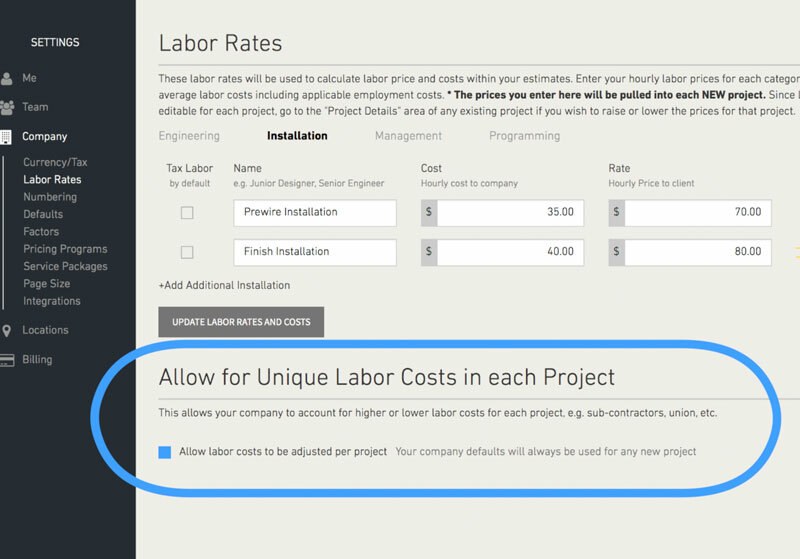 Jetbuilt now allows you to define unique labor costs per project inside your Project Details overlay. If you prefer to lock your labor costs globally, you can turn this on or off in company settings. On your Project Overview page you can now define your installation crew size. This will assist in your estimating work as well as your scheduling forecasts. This will also affect any "Days on Project" Factors, allowing for more precise automation. In case you missed our last update, you can now activate our VidCAD integration in your Jetbuilt Company/Integrations area. This will allow you to pass your projects to and from VidCAD. Watch the video for additional update and thanks again for using Jetbuilt! You can now set your company's preference for working in "Minutes, Hours or Price". 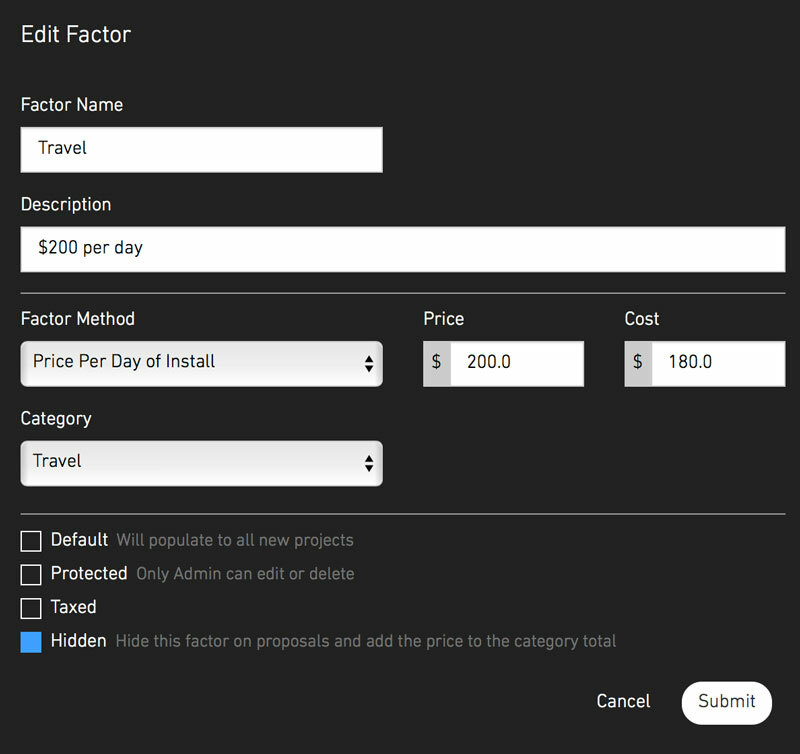 This will allow your team to continuously work in the denomination of your preference each time they add or edit items. The response to a potential Jetbuilt Summit was very strong. We are now thinking about Dallas, TX later this year. (Partly because it's a great central location, and partly because "we know a guy with a venue". This weekly update has been delayed due to the recent untenable weather in Southern California. Light but very steady rainfall multiple days over the last month and temperatures actually requiring a hoodie. We are grateful that the worst is behind us and we are pleased to bring you another update. This week we are pleased to announce a couple of highly requested features as well as some refinements to the application. 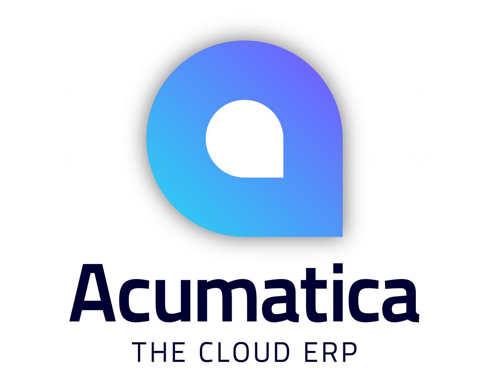 We are pleased to announce our integration with Acumatica ERP. The ERP that shares our vision for the power of collaborative cloud enterprise solutions. We have made some nice improvements to the way we handle uploading and selecting of images within the designer. In other words: it now works as you would expect it to. We are currently testing a feature that helps you automate one of the most discussed areas of our industry: Long-term support programs. You will be able to automate the creation and pricing of these packages and present them as options to your clients within your proposals. Thanks again for using Jetbuilt and happy quoting. ISE in Amsterdam was a tremendous show, and not just for those that came by the Jetbuilt booth. This was the largest show yet, and there was so much to take in. If you purchase items in multiple currencies, you can now set up your purchasing currencies in "Settings/Locations/Currencies". Later this week we will be posting a video tutorial on the full functionality. Beginning today, you can click each column header to sort your project and client lists. This sort then "sticks" with each user for a more personalized workflow. At ISE we will be launching our new Multi-Currency quoting! Assign various purchasing currencies for your company, then add items to your project from those currencies, while we handle the real-time currency conversion. Finally present in yet another currency to your client. You can now flip the Margin view to show Costs in your project overview. 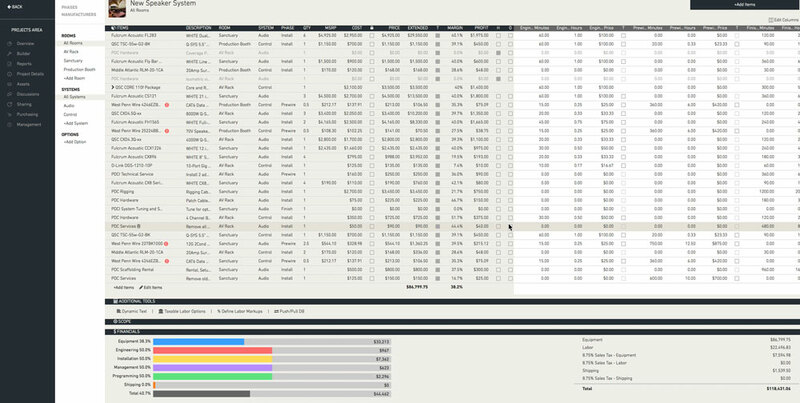 This makes it very fast and easy to monitor costs as well as margins while estimating and budgeting your project. Once again, watch the short video for more updates and information. Thanks again for using Jetbuilt! This week we added the ability to custom sort your Designer pages and groups. Now you can drag your go-to page groups to the top, so they appear on the top of your list when creating reports for your projects. Just click on the video for the whole story - all that we are currently working on at Jetbuilt. Once again we wish you all the best for 2018! Two weeks ago we announced our new Project Management solution. Paul has a quick update on the platform as well as some pricing information. Paul gives us an update on the Project Management solution. • We are currently testing bulk-editing and bulk-assigning of all selected tasks in your project. This works the same way you edit line items in the Builder. Launches this week. • Project Management will be $30 per month per user. Priced on par with many PM platforms today, but with the power of seamless integration into your sales platform. • We have added two very clear roles for PM: "Create Tasks" and "Perform Tasks". You can assign one or both of these to your team members as needed. Paul takes us through our new Project Management solution with an example project. As you populate your project you can build the installation tasks for each item. As you use these items in future projects, your tasks will be created passively project-wide. Large tasks are divided into smaller steps for control and organization. In the same way that you invite your sales and management team to Jetbuilt, you can now invite your project managers and installers. Since access is limited to tasks, feel free to invite outside contractors. 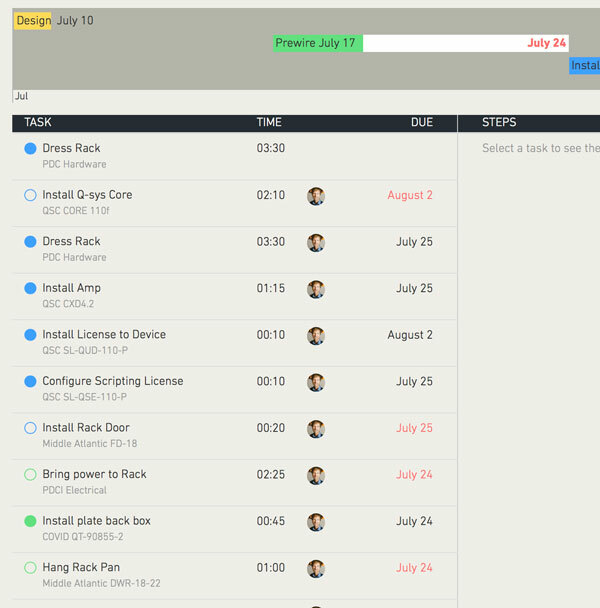 Assign tasks to your installers individually, by phase, or for the whole project. They will receive notices of tasks assigned to them. You will also be notified as they complete tasks. Your installers in the field interact with their tasks from their phones. *Currently browser-based, as our IOS and ANDROID field apps will be released in October. Our solution was designed and built in California by Jetbuilt. So you know it's easy to learn, simple to use, and supported with love. We invite you to try it free for the next 30 days.